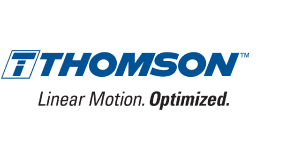 With more than 70 years of motion control innovation and quality, Thomson is a major producer of bearings, shafting, ground and rolled ball screws, linear actuators, gearheads, clutches, brakes, linear systems, and related accessories. Thomson invented the Linear Ball Bushing Bearing® in 1945. The company serves a range of markets, including aerospace and defense, medical and health, factory automation, food processing, and mobile off-highway markets. Thomson has facilities in North America, Europe and Asia, with more than 2000 distributor locations around the world. 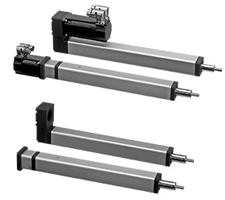 Precision electric linear actuators which feature exceptional power density, higher speeds, and longer stroke length than comparable units on the market. 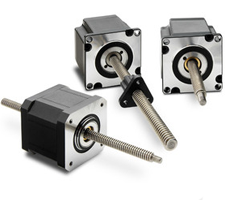 Motorized lead screws combine a hybrid stepper motor and a lead screw into one compact system. The integrated system offers increased torque density by optimizing motor performance with the ideal lead screw design. 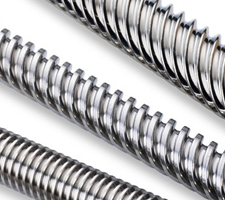 Precision rolled 300 series stainless steel lead and acme screws to achieve lead accuracy of up to .003 inch per foot.